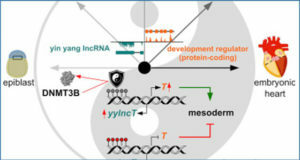 Rapid advances in the discovery of long noncoding RNAs (lncRNAs) have identified lineage- and cancer-specific biomarkers that may be relevant in the clinical management of prostate cancer (PCa). 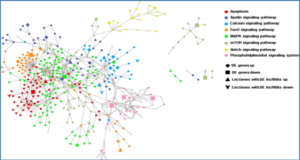 Here University of Michigan researchers assembled and analyzed a large RNA-seq dataset, from 585 patient samples, including benign prostate tissue and both localized and metastatic PCa to discover and validate differentially expressed genes associated with disease aggressiveness. They performed Sample Set Enrichment Analysis (SSEA) and identified genes associated with low versus high Gleason score in the RNA-seq database. 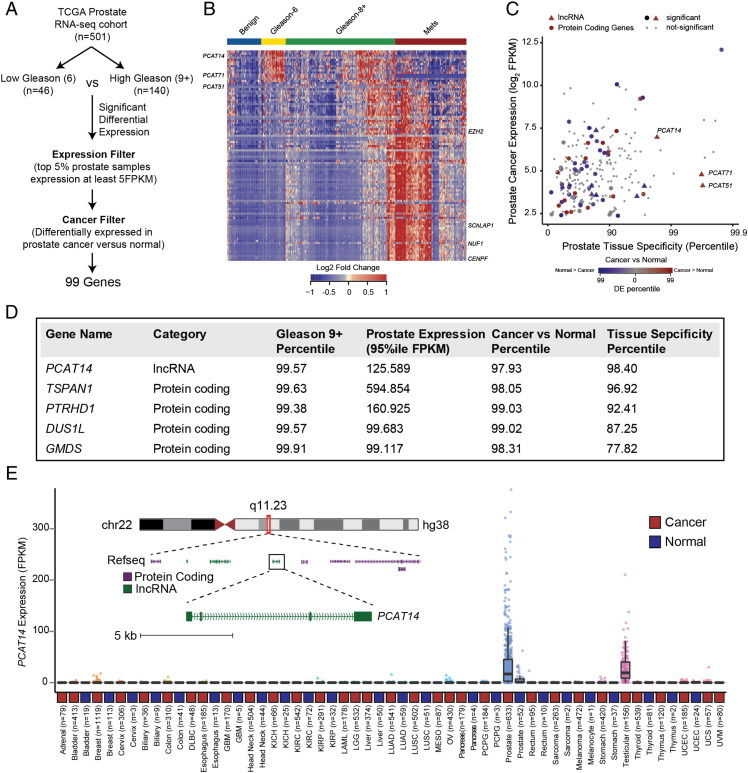 Comparing Gleason 6 versus 9+ PCa samples, the researchers identified 99 differentially expressed genes with variable association to Gleason grade as well as robust expression in prostate cancer. 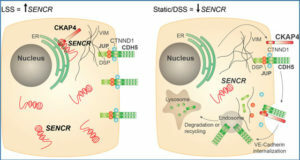 The top-ranked novel lncRNA PCAT14, exhibits both cancer and lineage specificity. On multivariate analysis, low PCAT14 expression independently predicts for BPFS (P=.00126), PSS (P=.0385), and MFS (P=.000609), with trends for OS as well (P=.056). An RNA in-situ hybridization (ISH) assay for PCAT14 distinguished benign vs malignant cases, as well as high vs low Gleason disease. PCAT14 is transcriptionally regulated by AR, and endogenous PCAT14 overexpression suppresses cell invasion. 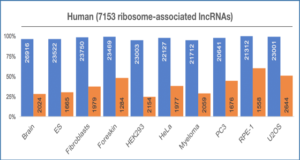 Thus, Using RNA-sequencing data they identifed PCAT14, a novel prostate cancer and lineage-specific lncRNA. PCAT14 is highly expressed in low grade disease and loss of PCAT14 predicts for disease aggressiveness and recurrence. A. Schematic representation of the workflow utilized to identify highly-expressed, prostate cancer specific genes associated with low-Gleason disease. 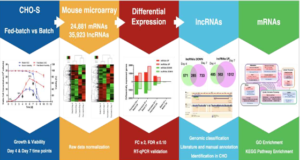 B. Heatmap depiction of the lncRNA and protein coding genes differentially expressed (n = 99) between Gleason 6 versus 9+ analysis in TCGA prostate RNA-seq data. Relative expression of these genes in benign and metastatic prostate cancer tissues [11 are also displayed alongside for comparison. Expression is depicted as log2 of the fold-change over the median of the Gleason 6 samples for each gene. Patients grouped by cancer progression/Gleason score. Rows represent genes and columns represent samples. C. Scatterplot showing the expression level, prostate tissue specificity, and prostate cancer association of protein coding (solid circle) and lncRNA (solid triangles) genes identified in 1 A. Expression is represented by the FPKM value for the 95th percentile prostate cancer sample. Cancer versus normal and prostate tissue specificity are represented by the percentile score for each gene in an SSEA analysis. D. The top five, Gleason 6 associated genes listed in the order of prostate tissue specificity. 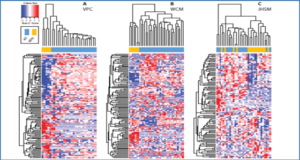 E. Expression of PCAT14 across all cancer and normal tissue type represented in the TCGA. Inset shows genome browser view of PCAT14 genomic location.